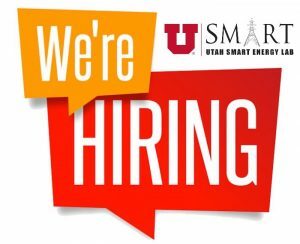 The Utah Smart Energy Laboratory at the Department of Electrical and Computer Engineering at University of Utah has an immediate opening for a Postdoctoral Research Associate. The candidates should have a strong background in mathematical optimization, machine learning, and power systems operation. Strong candidates with proven record of participating/leading successful research projects may be considered for a Research Assistant Professor appointment. The position comes with a benefit package and salary commensurate with experience. Applications will be reviewed immediately, and the posting is open until the position is filled.